If music has been a constant presence in your young guitarist's life and he or she is considering a music career, high school is the ideal time to take that interest seriously. Here are some tools and tips to help them continue advancing on their instrument and to prepare for university music study. Teachers of very young beginners should specialize in making learning fun and exciting. As your child matures, he or she should have a teacher who knows how to guide a committed student toward serious goals (auditions, university studies, etc.). Communicate with your child's teacher about their expertise in preparing for these goals. Be sure they know how serious your child is and can match the level of commitment with their musical experience, practice demands, and knowledge of practical matters such as audition prep. While parents of very young guitarists may not want to spend much on an instrument, high school is the right time to make such an investment. To continue growing and developing musically, guitarists need an instrument that offers optimal sound and playability. Consider a hand-made instrument and investigate local luthiers and dealers. Ask their teacher's advice and have your child try out many guitars before making a purchase. At a pre-university level of music, advancement depends a lot on guidance from musical mentors and private instructors. Useful guidance will not be all about enjoyment and positive reinforcement anymore. Your child will likely encounter some serious challenges with their instrument and even receive some strong criticism. It's not fun to have your technique or interpretation ripped apart in a lesson or a master class, but it's an essential part of musical growth. Similarly to embracing criticism, the ability to learn from failures is a vital asset to a serious musician. We don't win every audition, and sometimes we perform badly. When things don't go your child's way, help them to analyze why and to learn from it. Some failures may be due to circumstances within your child's control (for example, insufficient preparation). Others may be because the level of the competition was simply too high. Regardless, every risk we take is an opportunity to learn. Your child doesn't need to know exactly what he or she wants to do for a music career yet. However, a university music degree should be in the plans. The knowledge of music theory and the instrument proficiency that a university degree offers are essential prerequisites for modern music careers. Regardless of whether their interests lie in recording, performing, or composing, and regardless of their genre of choice, be sure your child continues developing a skill that they can study a university. For example, if they want to study guitar, they should remember that jazz and classical guitar are the styles most commonly taught at a university level. Dedicated music students may carve out many hours a day to practice their instrument. They may even develop a competitive attitude towards their practicing, performing, and achieving their goals. There's nothing wrong with dedication – it's necessary. But don't let their practice routine take over their entire lives. They should continue to lead balanced home, school, and social lives. Music is not a career that anyone should be pushed into. While it's quite possible to make a comfortable living as a musician, it takes a lot of hard work that needs to be fueled by their own love and enjoyment of music. Give your child the tools and resources they need to hone their skill and prepare for the real world, but don't pressure them. 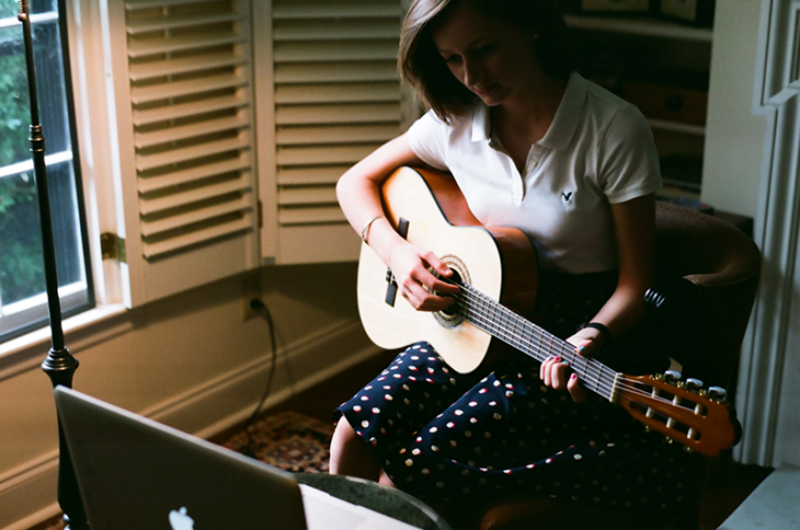 The desire to become a professional musician should be theirs alone. Leah Kruszewski has been a guitar teacher for nearly ten years, specializing in acoustic, classical, flamenco, and fingerstyle guitar. She is the most popular teacher on Lessonface for classical and flamenco guitar! Learn more about online lessons with Leah.